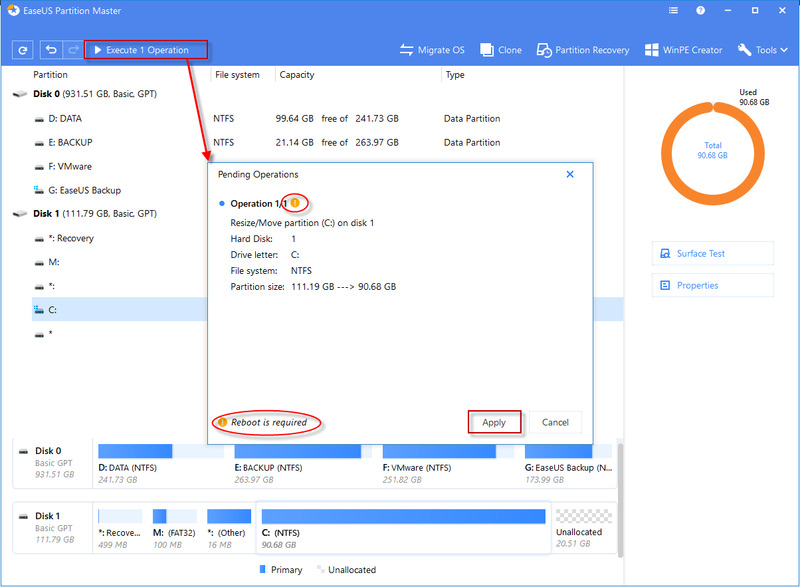 In most instances, EaseUS Partition Master can finish the resizing/moving partition under Windows directly. But if the partition which you want to resize/move contain lots of data and you are using some data on it, in order to ensure the data safe, EaseUS Partition Master will finish the resizing/moving operation under boot mode. 1. What should I do if the computer need resizing/moving partition under boot mode? 2. What is the exact status under boot mode? 3. Should I do anything under boot mode? EaseUS Partition Master will also prompt you to click "Yes" to reboot your computer then get into boot mode.